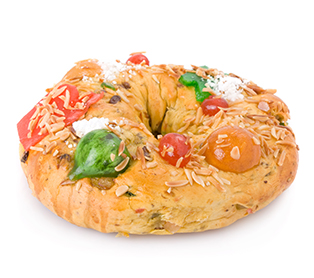 The Bolo Rei, or King Cake, is a traditional Portuguese cake enjoyed during the holiday season. This crown-shaped Portuguese pastry treat is made in-house by Ferreira with great care and, of course, only the best possible ingredients. Moist, laden with fruit and finished with a crystallized topping, it will instantly become the king of your dessert table. It is available starting December 1st at all Groupe Ferreira restaurants: Vasco da Gama, Ferreira Café and Taverne F. You can take one home for only $17. Savour the Holidays and a wonderful New Year!